We took your suggestions and made it a reality! In contrast to our traditional fluffy, red topped Christmas stockings, we now have full-print stockings for every holiday! Get a stocking for every occasion from Valentine's Day, Easter, Thanksgiving, Halloween, to Christmas. Have a blast getting a stocking personalized for every season! These 17" x 11" stockings are made of neoprene and have a black trim to give them a fantastic finished look. Your very own design is printed right onto the stocking, either single sided with white on the back or double sided where can use the same or different designs / patterns on the front and the back - the choice is yours. At the top of the stocking is a 2" loop for hanging. Create a design for yourself or for a friend! Choose exactly which design elements to put on your stocking. Have fun with designing! These are the perfect way to "wrap" small gifts or to decorate your home. If you ever need any help in our design center, just give us a call or get on our online chat. Our live customer service agents are always happy to help you with your designing needs. 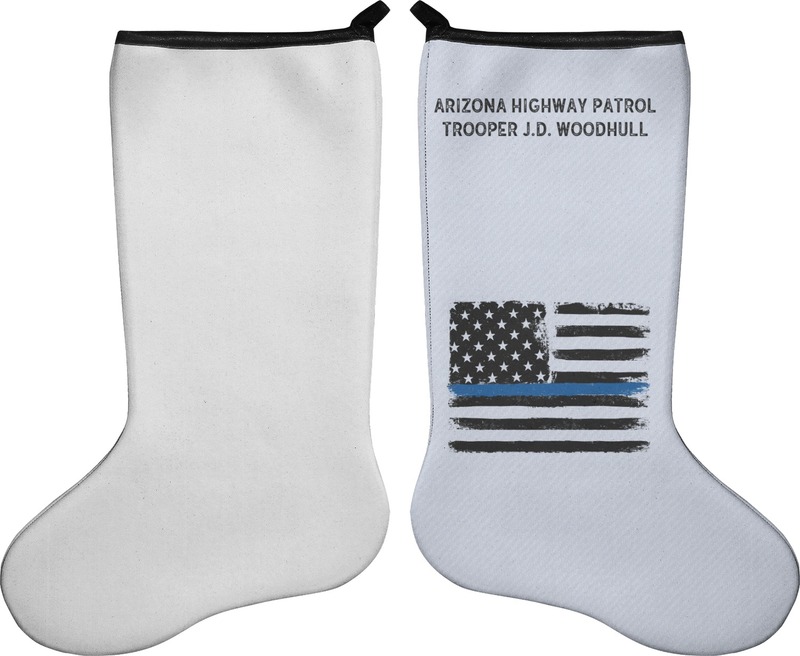 Be sure to check out our traditional Christmas stockings as well! Don't miss out on our personalized tree skirts, as well as our ceramic ball or flat metal christmas ornaments.